"Stampler flavors her writing with a nice ironic wit... for lovers of The Devil Wears Prada." "If you've ever been an intern or even just stressed about your future, you'll breeze right through this funny novel about a girl who lands an internship at a major teen magazine... A super entertaining read"
"A sweet romantic comedy perfect for stowing in a beach bag." "Captivating and cringe-worthy, this book rarely affords the reader an excuse to put the exciting tale down"
"This book is like a glass of lemonade on a hot day: sweet, refreshing, and with just the right amount of zing. Little Black Dresses, Little White Lies is more than a Little Bit Perfect." 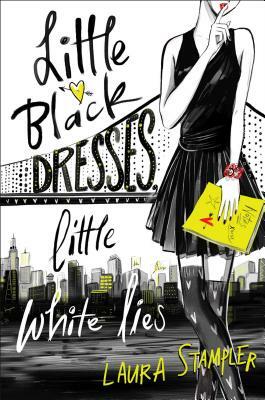 "Little Black Dresses, Little White Lies is a fun romp of a read...This book will definitely work for the celebrity obsessed/internet driven teen set."